Via friend and commenter JeffS. Pelosi is truly a witch. But she needs to be more careful in public: lately she's been gabbling her incantations out loud. Rachel Maddow: 'the big bad man didn't think of the poor baby western journalists in North Korea, he's selfish'. 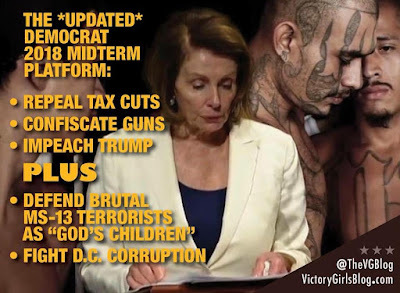 Pelosi: 'the big bad man called the baby gangsters animals'. I see a pattern here: shrewishness. We need a big Taming of the Shrews. Or a witch burning, that works for me. Asthma, touring way out west where it's very dry and dusty right now, drought. Pelosi alone should be worth an extra ten seats at the midterms. Her denture-grinding scowl at SOTU and her 'divine spark' line should be front and centre in every Republican candidate's campaign. Well, one thing's for certain: Crazy Aunt Nan needs a better denture adhesive. Sorry to hear about Phil Emmanuel. I only recently became acquainted with Tommy's fine guitar playing.